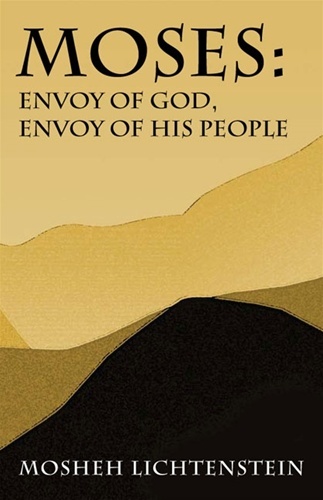 Moses: Envoy of God, Envoy of His People follows the path of Moses development as a leader from the moment he appears on the scene as a young lad in Egypt until his departing farewell address to his flock. The book details crisis and commitment, frustration and doubt, selfless devotion and identification, along with trust and alienation. All of the relevant episodes, from the first encounter between Moses and the quarreling slaves to his dealings with the second generations are analyzed and examined, from the perspective of the relationships between the leader and the people. The method of interpretation is based upon a literary analysis of the text that attempts to delve into the inner world of the leader and his interactions with the people. The result is a Midrash oriented approach that creates a fascinating combination of textual analysis and emotional insight. The book also contains a methodological chapter that spells out the exegetical approach and the philosophical outlook that the literary analysis is based upon.